Like many other lands in Tay Nguyen (the Central Highlands), Dak Nong is a destination attracting tourists from everywhere with wild character of the forests, waterfalls, poetic lakes among the green jungle, and especially the villages of the ethnic minorities inhabiting in this land. The diversity of the travel itinerary is a unique point of Dak Nong to tourists. Visiting Dak Nong, you can choose ecotourism, community tourism or a cultural trip. All of them will be an immensely great experience in your journey. 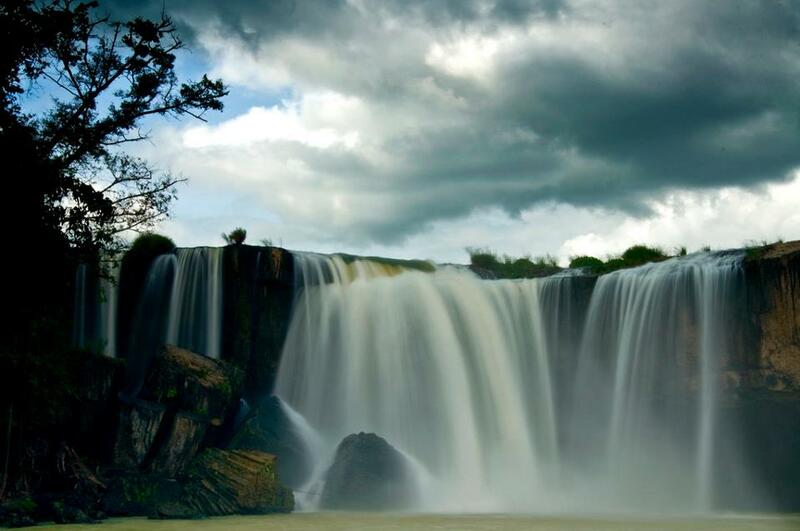 From Gia Nghia, driving along Highway 14 towards Buon Ma Thuot approximately 10km, you can reach Co Tien (Fairy) waterfall with a height of 20 meters (from top to the bottom of the waterfalls, the width waterfall is about 10m. 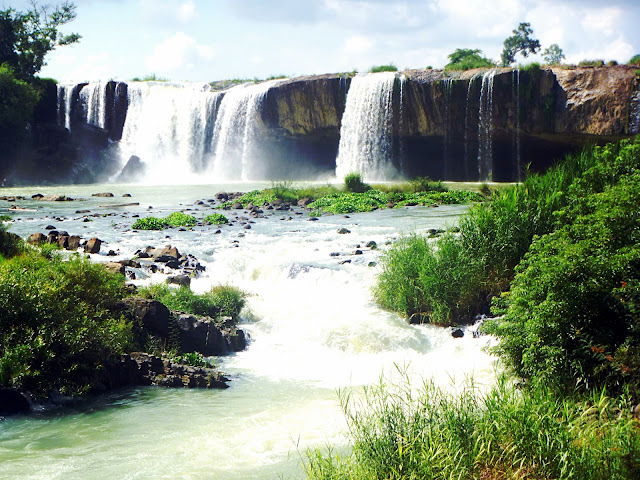 About 44 kilometers from Gia Nghia along Provincial Highway 4 to Krong No district, we will admire the pristine and gorgeous Ngam (Underground) – Gau (Bear) waterfalls in Dak G'long. Dak G'long also owns the Ta Dung nature reserve with unique plateau climate. 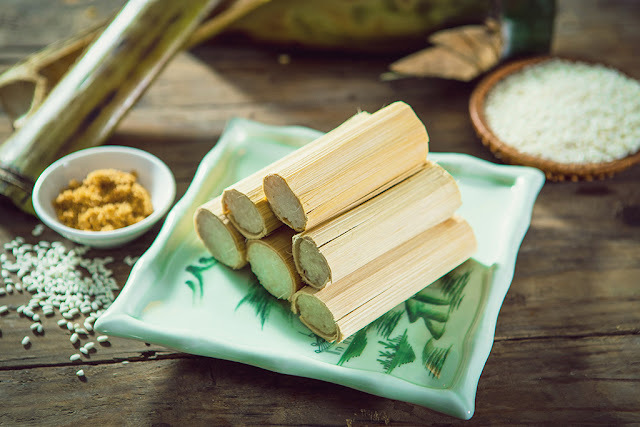 Especially, standing from high and looking down, you will gather in views the winding slopes, stilt houses looming in the fog and in the clouds. From Gia Nghia, visitors can also go along national highway 14 and Provincial Road 4 of Cu Jut and Krong No districts about 94km to see a system of 3 waterfalls named Dray Sap, Gia Long, and Trinh Nu (Virgin) along Serepok river. Not only are Dray Sap, Gia Long, and Trinh Nu the most famous waterfalls in the Highlands, but these three waterfalls also preserved the beautiful legends and romantic love stories. Floating on Ea Sno lake (Dak Ro Commune, Krong No district), you not only take in the views pristine beauty, beautiful natural painting but also yacht on Krong No River, of the row downstream to visit D'ray Sap waterfall or upstream to Buon Choah- homeland headman No Trang Guh. You can also row along Krong No to Krong Na to visit Lak lake or to visit Ea Rbine region and visit Ol, Coah, Leng villages, where keep many legends about Ea Sno Lake. 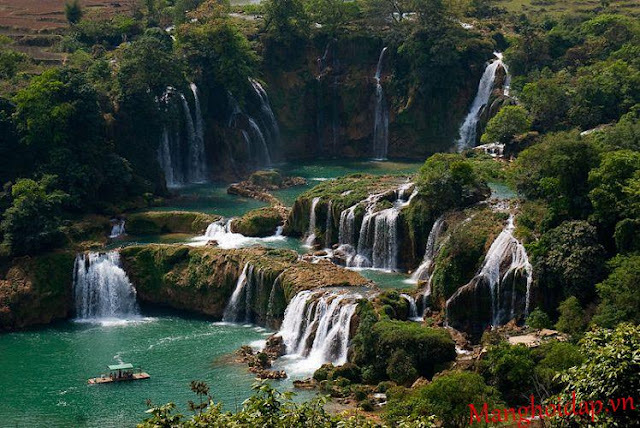 Also, the Nhan Co, Dieu Thanh cascades, Tuy Duc waterfall, Dak Mil lake, Doan Van Cu Jut lake, Ba Tang (three-floor) waterfall, Bay Tang (seven-floor) waterfall... are also equally pristine and majestic. - Bring medical devices, creams, medicines to prevent and treat insect bites..
- Bring a tent, blanket, sleeping bag and food if you want to camp at the waterfall. - you should ask a locals to be guide to fully approach and enjoy the beauty of the waterfalls. 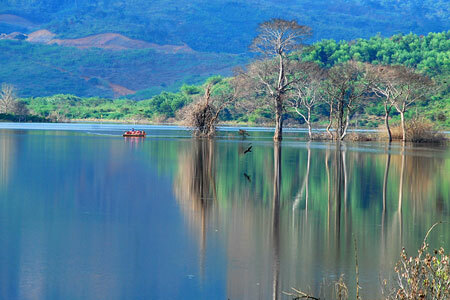 In addition, tourist route Dak Nong- Mundulkiri -Siem Reap - Phnom Penh – Tay Ninh. is currently being developed.